In the early 1980s, he contributed art to a story for Archie Comics written by the talented Paul Kupperberg. 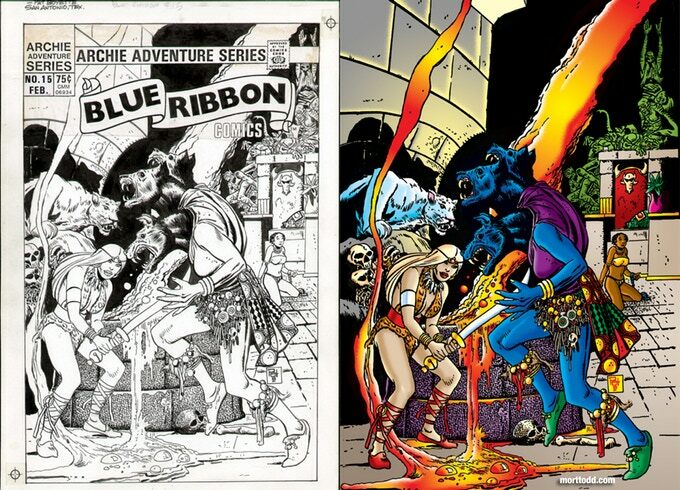 Archie was attempting to revive their Golden Age and Silver Age superheroes in the title Blue Ribbon Comics. Paul came up with a novel concept for a minor supporting character that had appeared in the earlier Adventures of the Fly and Adventures of the Jaguar called Cat Girl. Rather than continuing her role as a semi-super villain with the ability to control cats, Paul evolved (devolved?) her into a primal jungle warrior along the lines of Sheena, Queen of the Jungle and added an unhealthy dollop of saving sword and sorcery. 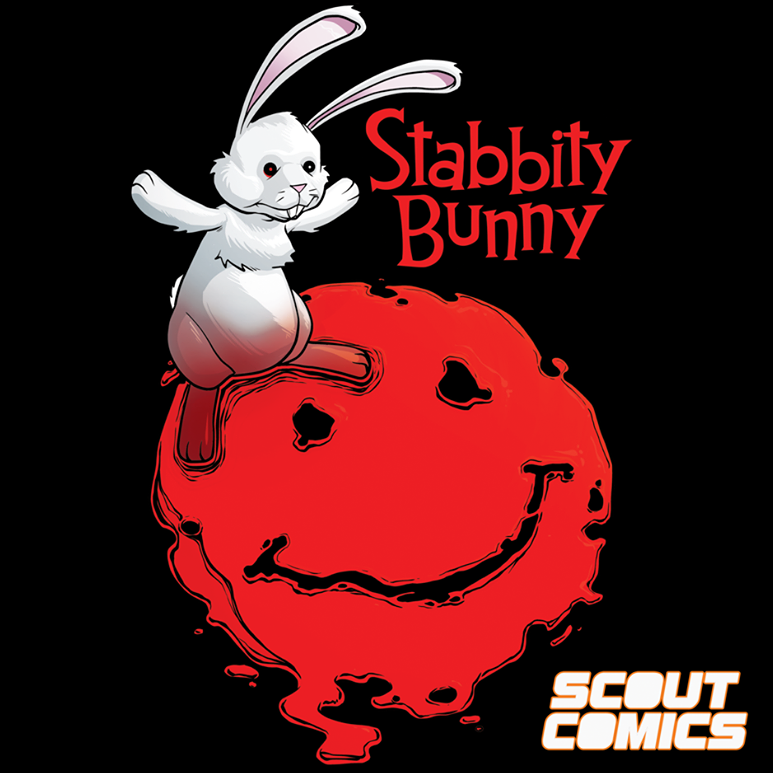 The story was slated for Blue Ribbon Comics #15 (cover dated February 1985), but unfortunately, the series was terminated with issue #14! 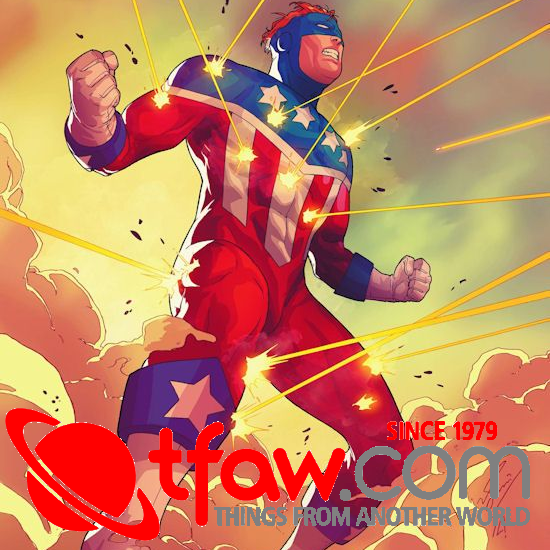 Fortunately, Kupperberg kept copies of the art and through the generous approval of Archie Comics, we are now able to publish the story after some 30 years in limbo! 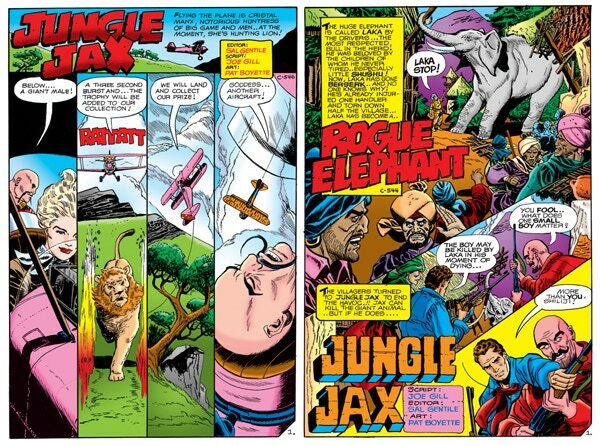 The art was restored and colored by Mort Todd and is now presented for the first time in LOST JUNGLE TALES #1! 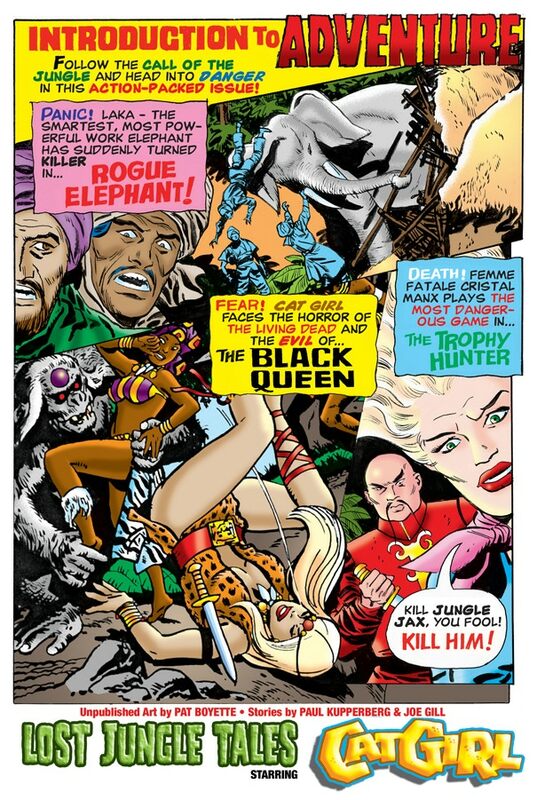 The title of this comic is very apt as it also features two other stories by Pat set in the wilds of Africa. 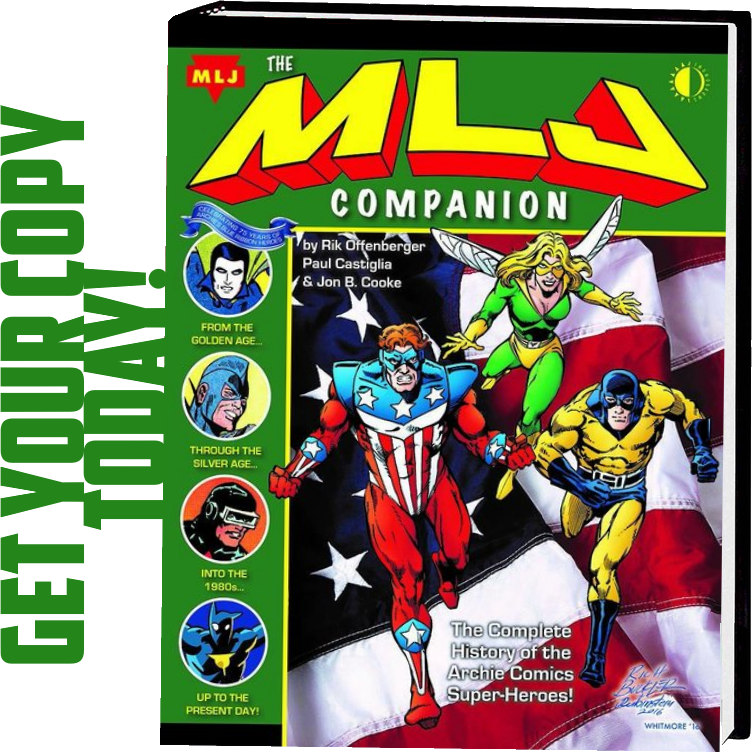 These stories were created for Charlton Comics in 1969 and written by the Charlton powerhouse scribe Joe Gill. The art features some of Pat’s dynamic visuals and innovative layout and is exciting to see over 50 years later for another title that was canceled before it could see print! 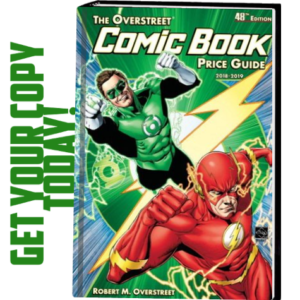 There are a variety of rewards for you to savor, ranging from digital copies, cover prints, signed editions, t-shirts, and even original art! A copy of Paul’s original CAT GIRL script is also available, giving you some insight into behind the scenes of comic production (and serves to foreshadow Paul’s new book on writing comics coming out later this year [you read it here FIRST])! Unlike many Kickstarter projects, these books are already “in the can,” ready to be printed after we know how many of these limited advance edition to print, add YOUR NAME to each copy and have Paul autograph the copies that people select in that tier. Thanks so much for your support!